A hot trend with gamers right now are deck building games, but many currently in the market lack the name recognition and firepower of beloved characters from the Marvel Universe; until now. 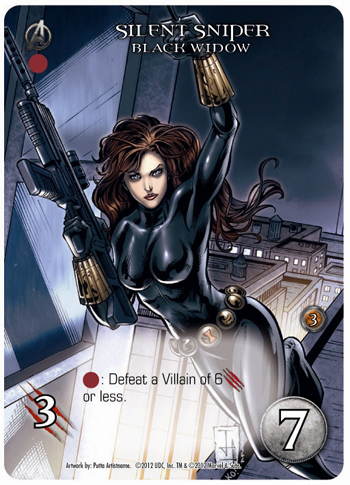 Upper Deck Entertainment is pleased to share the company will be launching a Marvel-based deck building game currently being called “Legendary” in the near future. 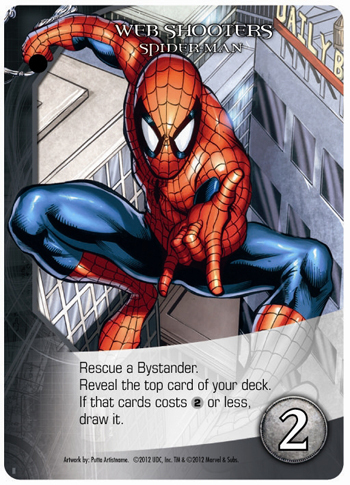 Besides popular Marvel superheroes like Spider-Man, Iron Man and Wolverine, the game also features a never-before-seen game engine designed by Devin Low, the former Head Developer of “Magic: The Gathering®.” In “Legendary,” each player starts with a deck of basic cards and then improves that deck throughout the game by recruiting Marvel’s greatest heroes in an effort to take down evil Marvel super-villains like Sabertooth and Dr. Octopus. “Legendary” has all the cool combos of a trading card game, but all 500+ cards in the game come in one big box and you build your deck during the game. Unlike other deck building games, in “Legendary,” the game actually fights back, with an evil mastermind like Magneto working on a dark scheme to crush all the players at once. Every time you play the game, a different evil mastermind will be pursuing a different dark scheme with different rules and it is the player’s job to thwart their evil efforts so good can prevail. Not only will players battle the evil masterminds, but also each other as there are several instances during game play where conflict arises within the team and it is up to the players to work through that. What’s more, every piece of art used in “Legendary,” is original. Upper Deck Entertainment wanted to provide Marvel fans not only with a brand new gaming experience, but also treat them to compelling artwork that has never been seen before. Gamers are ready for a new type of experience and that is exactly what “Legendary,” delivers. A great value with over 500 cards, full color game board & color rule book. For those who love The Avengers & The X-Men, players can build their own super team of spectacular Marvel superheroes including characters from both groups! Players create their own powerful combos on the fly, combining their hero’s awesome abilities to take down nasty villains like Venom and Mystique. 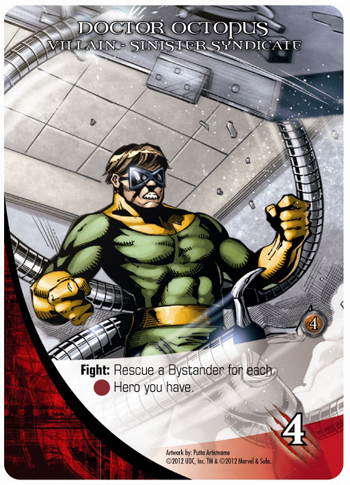 Over the course of the game, players will recruit powerful hero cards to add tot heir deck in order to build a stronger and stronger deck of ultimate Marvel superhero combinations! The game is very easy to learn and game play is very fast-paced. Innovative “mastermind” mechanics allow the game to fight back against the players and if players are not careful, villainous Marvel masterminds like Magneto, Loki and Dr. Doom threaten to accomplish dark schemes and defeat all the players at once! Strategy, depth, fun and the ability to play the game over and over again make “Legendary” perfect for gamers and Marvel fans everywhere! 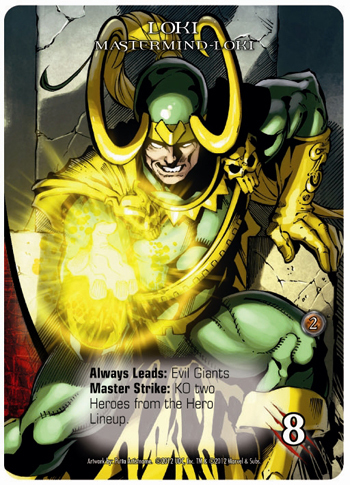 Just in time for the holidays, Upper Deck Entertainment plans to release Marvel “Legendary,” in November, 2012. You can pre-order “Legendary” now at the Upper Deck online store by clicking HERE. To watch a video review with Tom Vasel on the game, click HERE. *Images depicted are for demonstration purposes only. Set content and images are subject to change without further notice. Were the artists chosen by Upper Deck for this game or did Marvel have to approve the artists? Just curious as to what kind of artists to expect. THanks. The artists were all picked by UD but vetted through Marvel for approval. Kevin Sharpe and Will Conrad are just a couple of the names. Travis, it is currently scheduled to release on November 13! You can preorder it now on UpperDeckStore.com! Is Karla Sofen (Moonstone) in the set? cool read, a special thanks from a gaming fan.